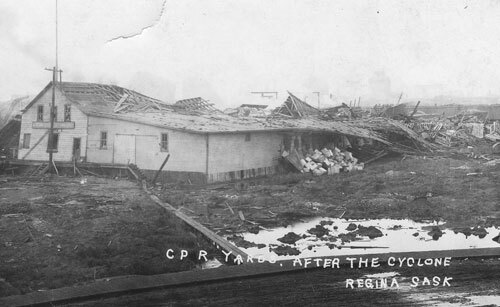 On June 30th 1912, Regina Saskatchewan was thrashed by a powerful tornado that destroyed the residential and warehouse districts of the downtown core and near Wascana Lake. 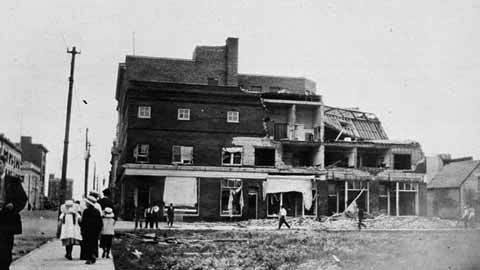 To this date it remains one of the most deadliest tornadoes in Canada’s history. 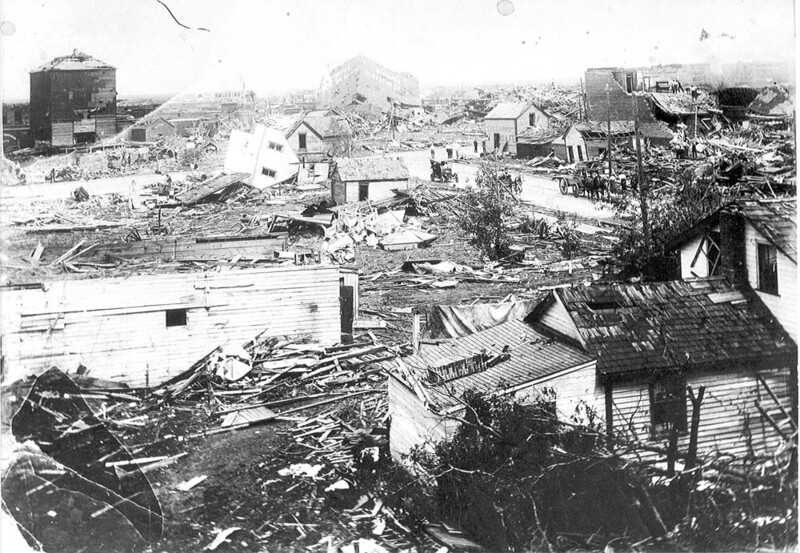 The tornado killed 28 people and injured thousands. 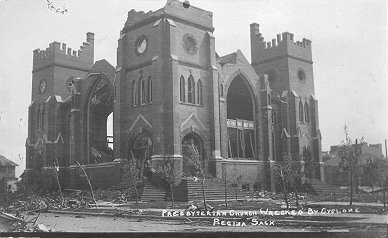 Approximately 500 buildings were either destroyed or damaged. One of the most famous stories of the Regina Cyclone is that of Bruce Langton. He and his friend, Philip Steele were canoeing on Wascana Lake when the tornado swathed its way north to the downtown core. The funnel lifted the canoe out of the water, ejecting Philip who was killed instantly. Bruce was deposited in a park a hundred meters away still gripping his paddle. British actor William Henry Pratt was appearing in a play at the time of the storm. In the aftermath he volunteered as a rescue worker and later organized a benefit concert to raise money for the city’s victims. Pratt, moved to Hollywood and would change his name to Boris Karloff and star in the films Frankentstein (1931), The Mummy (1932) and my personal favorite Targets (1968). 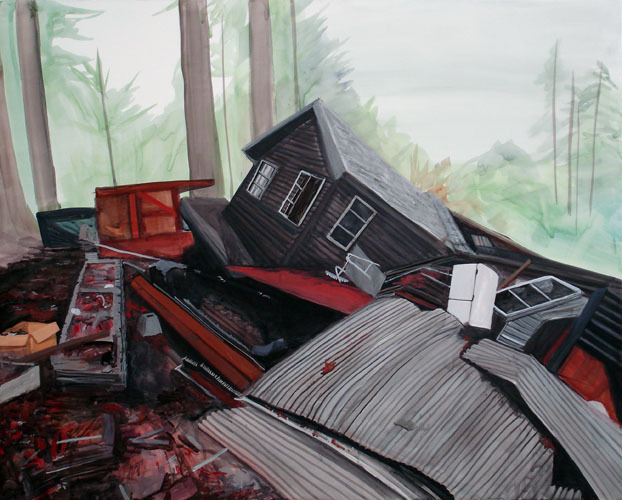 The following paintings are by Wendy Heldman, a working artist from Los Angeles, California from her series Disasters (2007). 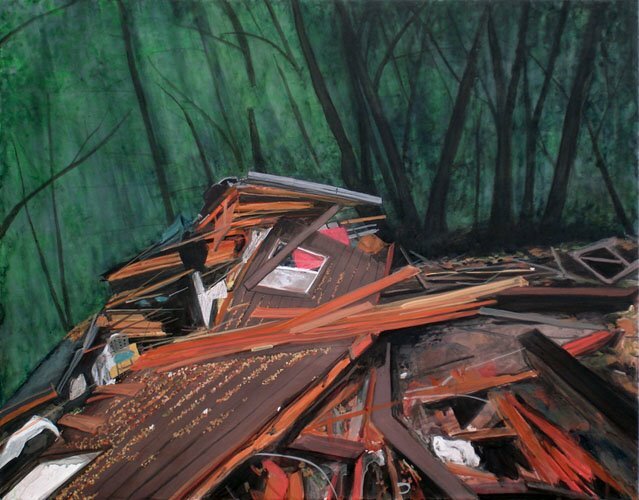 Heldman’s paintings feature vivid depictions of empty and ruined landscapes. For more information on Wendy Heldman please click HERE and HERE.